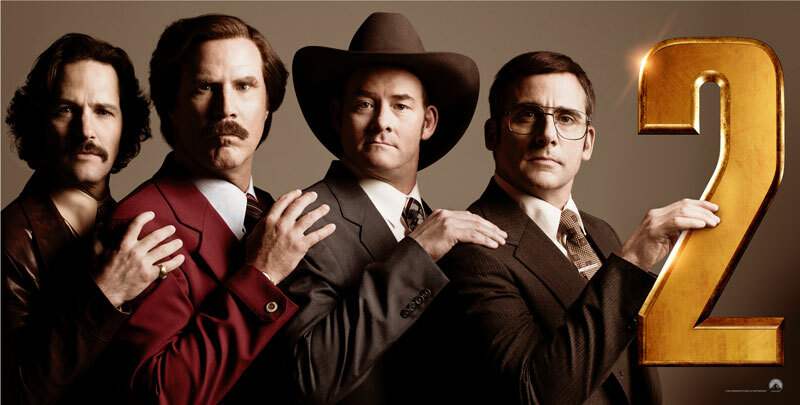 Putting the band back together: Rudd, Ferrell, Koechner, Carell, an Arabic numeral. Oscars Oscars Lupita Cuaron blah blah blah. In other movie news this weekend, I had the supreme honor of reviewing Anchorman 2: The Legend Continues (Super-Sized R-Rated Edition) for The Dissolve. My review is more or a less an encomium to long movies and more or more a bunch of jokes.